William Hayward Budd is an enigma. No doubt about it. Patriarch of a large family that was seemingly born into relatively humble circumstances, his children went on to great things. William, having married a vicar’s daughter, Ann Hayward in 1774, was an Inn Keeper (of some repute and standing), but it appears that the significant capital outlay required to refurbish the Crown Inn at Uxbridge in the early 1790s was too much for him and he was declared bankrupt in 1794. Despite this setback, William was a social networker of his time and used any and all connections he had to secure patronage and advancement for his children. These children were no slouches! Due to their status, much can be found in public records about their lives (and their tombs are invariably impressive, bearing testament to their standing). It’s clear that William worked Georgian patronage relentlessly. But what’s also interesting is that his patronage seems much diminished from 1800 (George entered the Madras Native Infantry not through his father’s connections, but his bother’s, Thomas) – one cannot help making the connection with his Bankruptcy, declared in late 1799. 1800. Still a tenant of Mrs Evans. We know that from the Uxbridge Tax records that Crown and Cushion is demolished by 1804. Here’s where the story can only, at this stage, be a hypothesis. 1801. William Budd is recorded in the Salisbury and Wiltshire Journal as being a licensed Gamekeeper to BJ Angell (Husband of William’s eldest daughter Ann), in Studley, Calne. These records persist, on and off, until 1812 (at this stage, William would be 65 years old, if you believe how this hypothesis ends). I think that the chances of this not being our William are very slim – this appears to be a cottage on the Angell estate and my belief is that Ann installed her aged father there for the final years of his life. I expect he lived there from 1801 but cannot prove that at this stage. Being a recent bankrupt, my theory is that she supported him by installing him on the estate in 1801 (and the last definitive record of him in Uxbridge is as a tenant of Mrs Davies in 1800). We should remember that he still had four dependent children at that time – George (14), Charles (12), Richard (10), and Samuel (9). When Samuel applied to re-enter Army service (having retired on half-pay in 1815), he cites his place of residence for the last five years as Rumsey House, Calne. So I think that Samuel grew up there from the age of 9 and returned there once he left the Army in 1815, where his father was still living. Interestingly, there are references to Budds living in Uxbridge from 1805 to 1812, with a William Budd cited as owning and living in property 1809 and 1810. I believe these references to be related to William Hayward Budd, William’s son (and not William snr), who married Mary Packer and had eight children over the period 1801-1813, all of whom were baptised at St Mary’s Church, Uxbridge. Credit must go to Tim Wilkinson for his research into William’s death in Studley and sharing that with me. My son was going on a school cricket tour from UK to South Africa and I decided to join him. Spending the first week in Cape Town watching cricket in the hot South African summer was a treat as the sleet covered England back home. After the first week, I set out on my adventure – to find Herbert Hayward Budd’s grave. HH Budd is a great uncle. He died very suddenly in 1927. At the time he was the Medical Superintendent on Robben Island which in those days was being used as a leper colony. His wife Lil and young son Billy lived with him on the Island. He was working with Lepers on the island and in April 1927 visited the Emjanyana Leper colony which is in the Eastern Cape (some 700 miles distant from Robben Island). Whilst there he very suddenly contracted pneumonia and following a short period in the nearby Umtata general hospital, died. As was common practice he was buried where he died in Umtata (now called Mthatha). I had worked this much out from my Family History research, but I did not know where ‘The Doc’ was buried. I knew that Lil and Billy had never visited his grave before returning home to England in 1928. Could I be the first family member ever to visit the grave? Boarding a flight from Cape Town to Johannesburg, and then a very small propeller plane from Jo’burg to Mthatha, I became increasingly nervous. 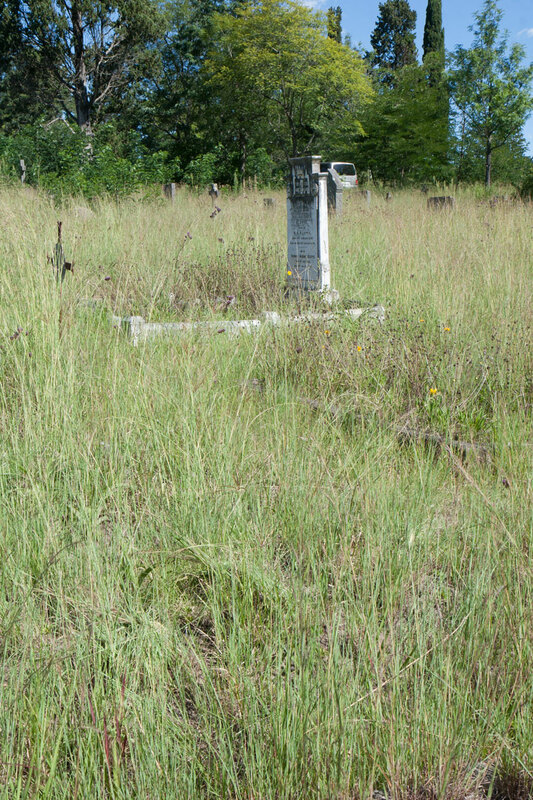 Having been in touch with a voluntary organisation in South Africa which records gravestones, they had advised that no grave was known in Mthatha, but of more concern, that the town would be dangerous to visit alone as a white person. My itinerary allowed me only 24 hours in town. Any attempts to contact the municipal offices had failed, with phones just ringing off the hook. I had booked a room in the only hotel I could find…and that was all I had to work with. Speaking to the Hotel clerk the day before, I had a telephone number of a local cab driver who was trusted by the hotel staff. He picked me up at the tiny airport building. He was to be my guide and saviour over the next 24 hours. On the way into the town (as we travelled through sprawling wicker hut encampments on each side of the road) I tried to find out as much as I could about the environment. Telling my story, Sibongiseni, my driver, cheerfully told me about his life as a cab-driver, trying to support his family. Our interests aligned – hiring him for 24 hours would give me a chance to get about the town, probably safely, and with some local knowledge. In return, I would pay my new friend a decent sum which would no doubt be very welcome. Dropping me off at the Hotel (where I was effectively imprisoned, being told that it was far too dangerous to go out alone), we agreed that he would pick me up the next morning. Right on time, his smart VW taxi-van pulled up outside the hotel. First stop was to be Mthatha cathedral – to see if any burial records were to be found. Very soon I was speaking to the Bishop of the diocese, who confessed that any records they might have would be hard to find and probably incomplete. He advised going to the Municipal offices where cemetery records might still exist. By good fortune, Sibongiseni had a niece who worked there. Driving across Mthatha he tooted his horn constantly, waving to people he knew and shouting animatedly out of the driver’s window in his native isiXohsa – I had managed to team up with one of the most connected people in town. Arriving at the bustling Municipal offices, we quickly found ourselves in a tiny office where a town official was happy to see me. He was responsible for the Municipal parks, which included the cemeteries. I told him my story and he offered to help. When I explained that I was booked on a flight to Jo’burg at 4pm that day, he laughed…South African administration does not move quickly. Giving me a warm, toothy smile, he nonetheless said he’d do what he could. Within 5 minutes a dusty ledger book was open on his desk. 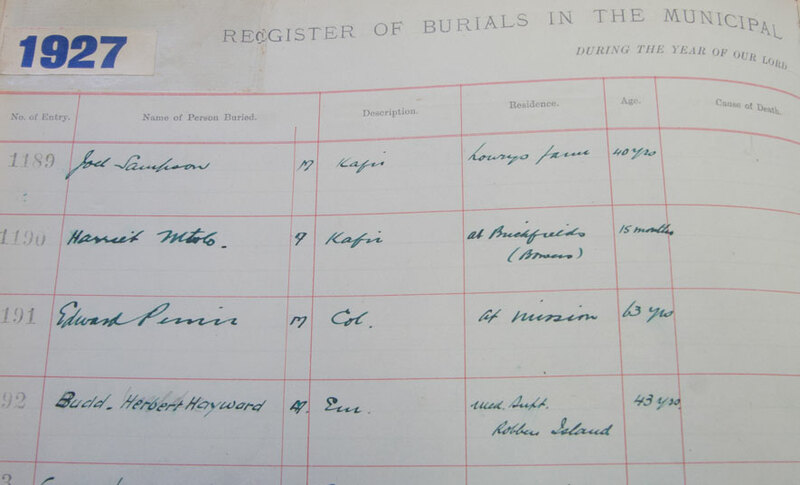 Turning to the page for 1927, the burial record for Herbert Hayward Budd was quickly located. I couldn’t believe my luck. But with the good news came bad. Although the location of the grave was set out, he explained that the ‘white graves’ from the period were in a very overgrown and untended part of the cemetery. Only one person knew his way around the graves – him. He had a day full of meetings, but he would meet me at 2pm and we would go over to the site together. Returning to my hotel to wait the 3 hours until our next meeting, my heart was in my mouth. We were so close, but I had only one hour from the time we would all meet again to find the site before I had to leave for the airport. Sibongiseni arrived late, smiling and relaxed. I did not share his calm demeanour. We went to the Municipal offices where my guide was waiting. This time the news was not so good. He had an urgent meeting to attend and could not take me to the grave. Playing with my emotions and seeing my disappointment, he let me take in the news. Then, with a big smile, he said that he’d driven over to the cemetery during his lunch hour, taken the cemetery worker (aka grave digger) with him…and they had found the grave. It was unmarked, he explained, but could be found by locating a neighbouring gravestone. He had marked the mound (which was all that remained of HH Budd’s grave) with some knotted grass. The cemetery worker would be waiting for me and would lead us to the grave. As he said goodbye, he made me promise that I would raise a headstone for HH Budd, ‘to show that he had not been forgotten’. With tears in my eyes I left his office, overwhelmed by the kindness and support he had shown a total stranger. It was nearly 2.30 pm when Sibongiseni and I reached the cemetery. Picking up the cemetery worker, who spoke no English, we made our way across the tumbledown modern grave sites to the much older, colonial graves. Our cemetery worker quickly became disorientated and could not find the grave. With time against us we were on our own and I frantically walked up and down the rows of untended, tipping gravestones trying to find HH Budd’s neighbour, which would lead me to him. Eventually some order to the site emerged and I was able to work chronologically towards the graves dating from the 1920s. Right next to the cross which had been pointed out, a small rise in the ground, overgrown, untended, but with 2 small knots of grass which marked the spot where HH Budd was buried. I had never met him, knew of him only through research, but I shed a tear for this man, who had lain there under hot African sun since 1927 and had never been visited by anyone from his family. Shattering this moment, a noise from a crowd of school children brought me back to the present. A nearby school yard sprawled onto the edge of the cemetery and shouting from a small group of teenagers indicated something untoward going on. Suddenly 2 gunshots pierced the air and 2 gangly men (one brandishing a pistol above his head as if to warn off anyone in pursuit) ran from the crowd and across the cemetery. Carrying the bag they had stolen,they passed close by, but were more intent on escaping than acknowledging us. I looked on as if I was watching a scene from a movie. Sibongiseni shrugged and explained wearily that shootings and muggings were part of everyday life in Mthatha. Recovering my composure, I snapped a few pictures, paid a tip to the cemetery worker and then raced to the Airport. As I sat in the tiny aeroplane as it whirred over the vast uninhabited interior of South Africa, I could hardly believe what had happened in the previous 24 hours. Another 24 hours later, I was at home in Wimbledon, back in the sleet and greyness of winter. What had happened in a small town in the Eastern Cape seemed like a dream. HH Budd has been found again. And one day I will return to raise that headstone…so that he is not forgotten. Update: it is done, see my post here. 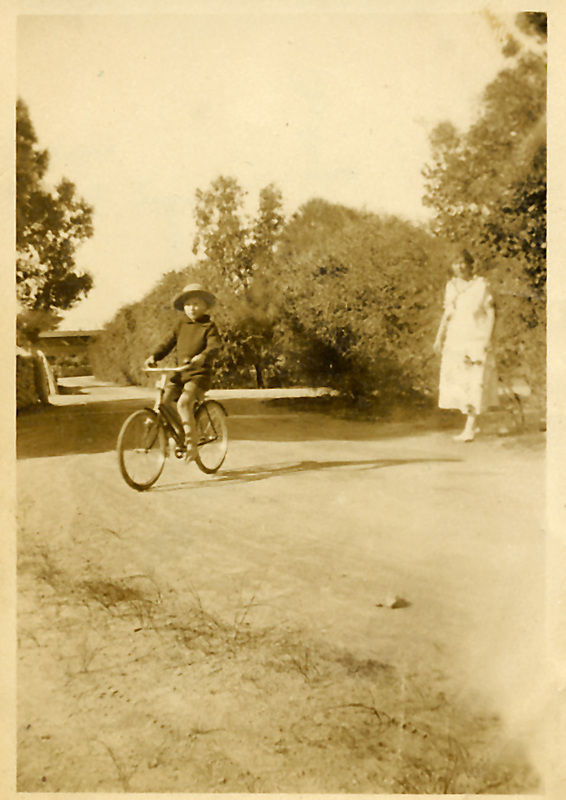 Herbert Hayward Budd (‘The Doc’) married my great Aunt Lil in 1915. He was a third generation medical man and following service as a Temporary Surgeon in the Navy during the First War, he emigrated to South Africa with Lil, who was by then pregnant with their only child, a son. 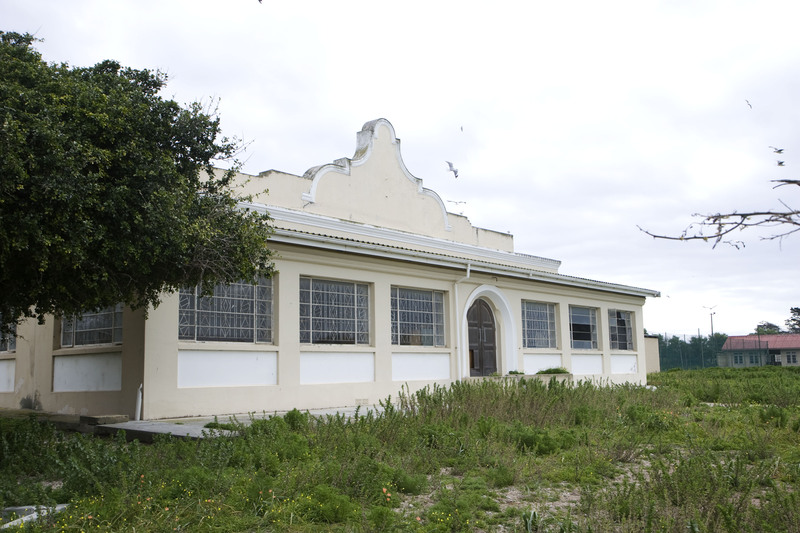 Arriving in early 1919, they settled on the now famous Robben Island which at that time served as a medical facility for the mentally ill and was also a leper colony. The Doc became interested in finding a cure for Leprosy and by 1924 was the Medical Superintendent on the Island and ran the colony there (the mentally ill having been transferred to the mainland in the early 20s). The Doc, Lil and their son Billy lived a quiet but relatively comfortable life on the Island – there were some 2,000 inhabitants at the time. The small cutter Pieter Faure made a daily trip, weather permitting, from Cape Town to the Island to deliver provisions – although a flock of sheep were kept on the island in case of prolonged bad weather and a fresh source of food was needed. Tragedy struck in April 1927 when The Doc was some 700 miles away in Mthatha, visiting a leper colony there. He caught pneumonia and died suddenly and is buried there. 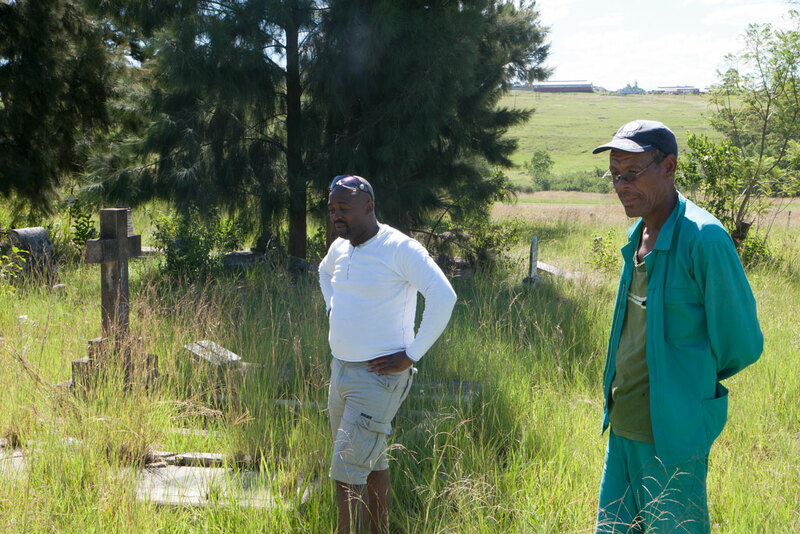 (See my post: Finding Herbert Hayward Budd’s grave in Mthatha). Lil and Billy never got to visit their father’s grave, and returned to England in 1928. My interest in their story was rekindled when I booked a family holiday to South Africa, including a trip to Cape Town in 2009. I contacted Lil’s niece (Lil having died in 1989) and she lent me a dusty photo album packed with pictures of the Budd’s early life together. I was quickly able to piece together their story and became fascinated by it. Making a trip to Cape Town seemed like too good an opportunity to miss so I got in touch with one of the Academic staff on Robben Island, the fabulous Richard Whiteing, and asked if he knew anything of the Budds. I sent over some pictures and we agreed to meet when we got to Cape Town. As we got off the packed tourist boat, Richard was waiting for us when we stepped onto Robben Island. Rather than follow the crowds into the Prison for the tour of Mandela’s jail, we got into a minibus and headed for the other end of the Island. 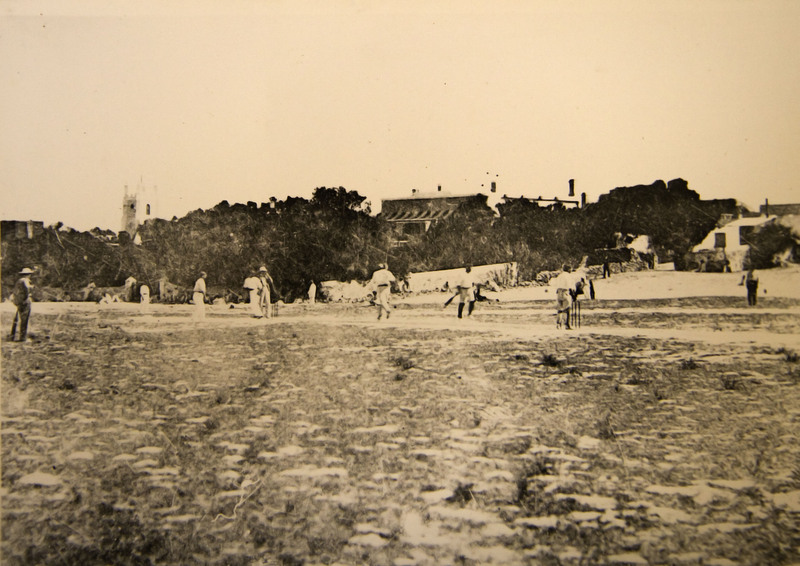 We got out onto a dusty road and began walking across an overgrown patch of land which Richard explained used to be the cricket pitch in the late 19th and early 20th century. It was pocked with rabbit burrows and overgrown but with some imagination, you could just about picture it. He started to talk about a particular photograph I had sent him, showing the Budds on the verandah of their house on the Island. He explained that the trellis-work in the photograph was very particular and belonged to only one house – that of the Medical Superintendent. Pausing for dramatic effect as we continued to work our way across the overgrown cricket pitch, he pointed to a large building overlooking the pitch and announced that ‘that’s where the Budd’s lived’. I could scarcely believe what he was saying. 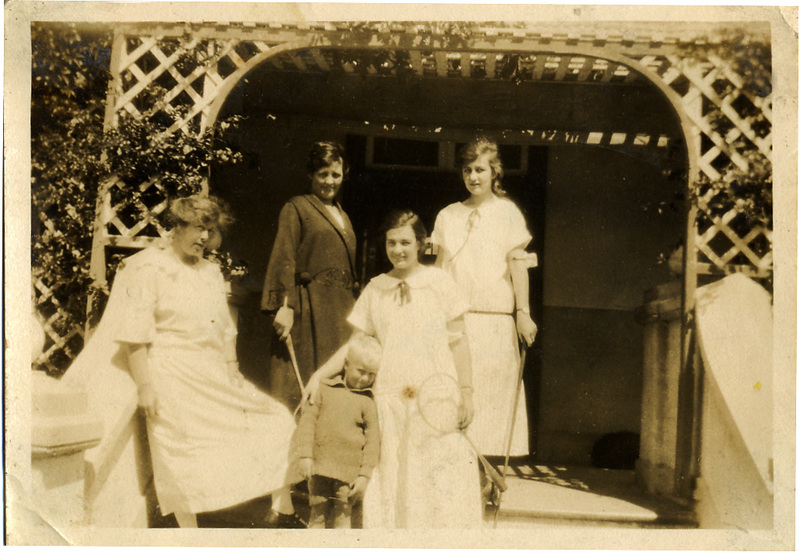 Having known almost nothing about the Budds a few months earlier, we were to find their house and walk through the rooms they lived in on Robben Island in the 1920s. A worker was waiting for us at the locked door to the grand Superintendent’s house (its last use had been as a bar and social club for the prison warders when Mandela and the other Apartheid prisoners were still on the Island). He opened up and we were able to wander through the disused, damp and decaying house. With reference to an old plan, we could identify the bedrooms and I imagined the young Billy growing up there. We then moved on to the Garrison Church where we were able to find a small monument, raised in 1957, commemorating all the Islanders who had fallen in the Second World War (Billy died at the controls of a Hambden bomber over Wilhelmshaven in October 1941). Richard was able to bring to life what it must have been like to live on the Island in the 1920s. It was an amazing experience to walk around the deserted buildings and hear him speak about the Island and its history. And to find the Budd’s house that day is an experience I will not forget. 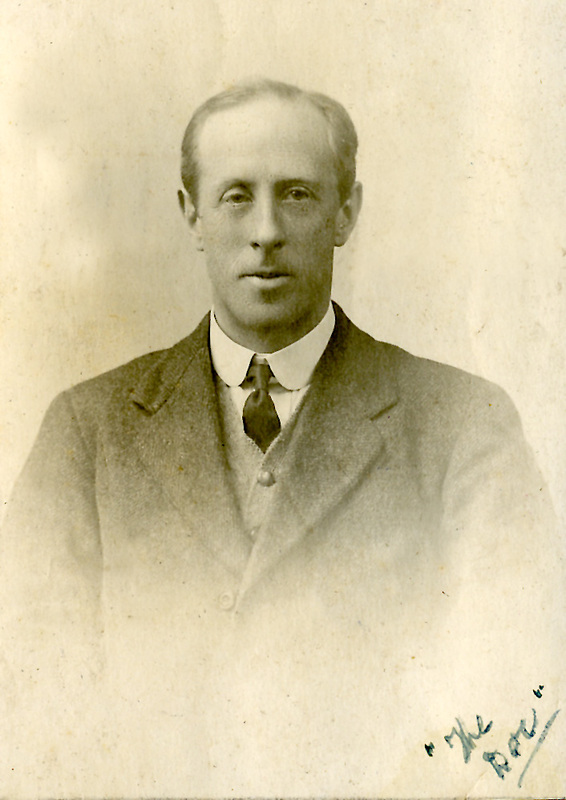 With William Budd’s death now pretty much resolved (see my earlier Blog on this topic), I have turned my attention to William’s birth and his immediate family. This seems to be a little harder to pin down. One lead appears to be that when William and Ann had their first son, William Hayward in the parish of George the Martyr, Southwark in early 1776, there was another Budd, Samuel, living in the same parish (he and his wife Ann Dredge had five children in that parish from 1776 – 1787). It seems significant that two Budds were living in the same parish – that they were related seems to be a hypothesis worth exploring. I haven’t had any luck to date! Interestingly, William and Ann’s marriage certificate cites him as being from the Diocese of London, and says that he was also a widower. Again, no further clues unearthed on this thread to date. That William came from London and had his first child there makes me think that he was a Londoner and was perhaps born there (as opposed to Gloucester, where he married Ann in her parish, and Wiltshire, where so many of his children ended up living out their years, and where I believe he lived in the latter part of his life from 1801 until his death in 1821, again, see my previous blog on this). Margaret ROSE has commented elsewhere on this Blog that there’s a witness to William Hayward Budd’s marriage to Mary Packer called Thomas Budd. Margaret’s view is that the signature is not that of WHB’s brother Thomas Hayward Budd, and her hypothesis is that this could be an uncle – William Budd Snr’s brother. Interestingly, there is a William (b 1744, 2 years adrift from the believed birth date of our William Snr) and a Thomas, both with the same parents (William and Eleanor Budd) born in Quainton, Bucks – so this could be a lead worth following up. To date, nothing definitive…any clues welcome!